Professional social network LinkedIn (s lnkd) is looking to bolster its appeal with its core business audience by buying up presentation hosting service SlideShare in a deal worth $118.75 million. The acquisition, which involves 45 percent cash and 55 percent stock, gives LinkedIn another way to connect its users, who are often communicating and promoting themselves through powerpoint presentations, slideshows and other content. SlideShare has been one of the most popular ways for professionals to share content on the web. The service, launched in 2006, boasts 29 million unique visitors and hosts about 7.4 million presentations, which are embedded in more than 1.4 million domains. The company has raised $3 million to date. Deep Nishar, LinkedIn’s Senior Vice President, said in a blog post that LinkedIn prized SlideShare’s ability to let professionals discover other people through online content and how people were able to lead each other to more content discovery. He said SlideShare will continue to offer that service to its users. But down the road, LinkedIn will look to see how it can use SlideShare to make its users more productive. 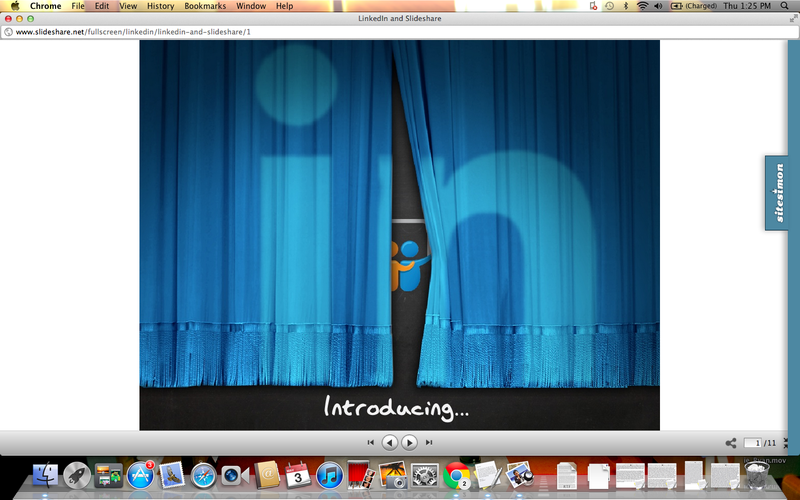 The addition of SlideShare makes a lot of sense for LinkedIn. The audience is very similar and the two companies have worked together in the past. SlideShare, offered a LinkedIn application in 2008 and last year added a LinkedIn Share button to its documents. Acquiring SlideShare makes LinkedIn more of a destination among social networks, providing more content that people can explore and discover. LinkedIn last year launched a news service called LinkedIn Today that aggregates the news for users. The deal is expected to close in the second quarter and comes on top of a solid first quarter that topped analyst estimates.